4. Indentify the role of Building Control Services. The City and Guilds course is assessed by a multiple choice 20 question online exam. Successful candidates will receive a City & Guilds 2393-10 Building Regulations for Electrical Installations in domestic dwellings certificate and a certificate of attendance from PASS. The course is one day long in total and is held at the Stockton on Tees electrical training centre close to Billingham, Durham and Sunderland. The City and Guilds Certificate in the Building Regulations is a one day course suitable for electricians working in the domestic electrical industry. It is most suited to those who have had several years experience working within the industry. This qualification is widely recognised by the five main competent person schemes ran throughout England and Wales (NAPIT, NICEIC, Gas Safe, ELECSA, BSI). Those who successfully complete this course will be able to apply to their preferred scheme for accreditation. Candidates should be familiar with installations in domestic electrical environments and should be working in the industry, ideally holding a City and Guilds 2360 Part 1, or a City & Guilds 2330 level 2 or equivalent qualification. If not, then the Part P 5 day course may be a better choice. Please call us on 01642 987 978 to discuss any other relevant qualification/experience. Electrical Installers Guide to the Building Regulations (ISBN 978-0-954879105). Visit the recommended reading page. 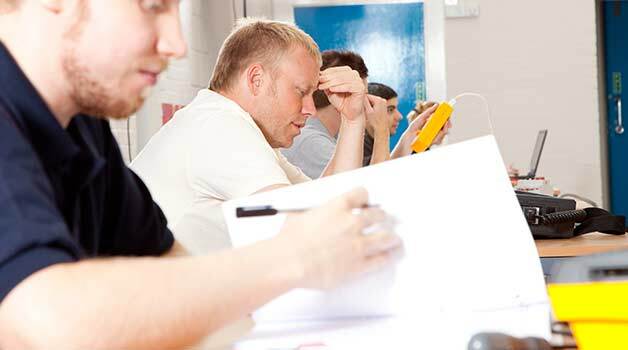 City & Guilds 2393-10 Building Regulations for Electrical Installations course is designed to help established electricians understand and execute the seven parts to the Building Regulations that are relevant to electrical installations in dwellings. For more information about this course please see below If you require any assistance please contact us on 01642 987 978.